Impact Lending Solutions are made up of a professional team of finance brokers based on the Gold Coast. If you are looking for a professional team of finance brokers on the Gold Coast, then look no further than the team form Impact Lending Solutions. Doug is a qualified Accountant with a Bachelor of Business majoring in Accounting. As well as qualifying as a CPA, he holds a practising certificate with CPA Australia, a Diploma in Financial Services (Financial Planning), and is a Registered Tax Agent. 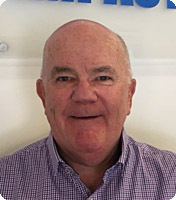 Doug has worked in Public Practice since 1998 and brings to the practice considerable knowledge gained from his exposure to business management, business lending and international trade documentation gained while working in the banking sector. Doug is a Rugby enthusiast and a failed marathon runner. Ben is a former Rugby League player and a keen observer of the sport of kings. When he is not working, Ben enjoys spending time with his wife Clare, and twin children Cameron and Chloe. Debbie has over 20 years of experience in the finance industry, with a dedication to quality service and providing financial solutions for her clients, she is well placed to arrange any of your next financial requirements. Debbie has her Diploma of Finance and Mortgage Broking. She has been a Bank Manager, Financial Services and third party Financial Development Manager as well as being a finance Broker. Debbie has also developed and run Finance arms for Building companies and Credit Society’s. With her wealth of experience she can find solutions to the most challenging financial requirements of her clients. 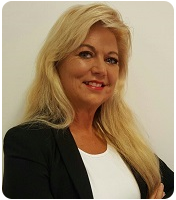 During her time in Mortgage and Finance Broking, Debbie has assisted many clients with their financing needs, including Investment and Owner Occupied property purchase, commercial, SMSF (Self Managed Super Fund borrowings) and motor vehicle finance. Debbie believes that the key to a successful broker / client relationship is communication, and she will ensure this continues from initial appointment right through to settlement and beyond, and is available to answer any of your questions throughout this process. Knowing how busy many clients can be, Debbie is also available for after hour and weekend appointments. Debbie’s interests include Surf Life Saving, the Beach, traveling to Bali and spending time with her family. When you are looking for a professional team of finance brokers on the Gold Coast, look no further than Impact Lending Solutions.